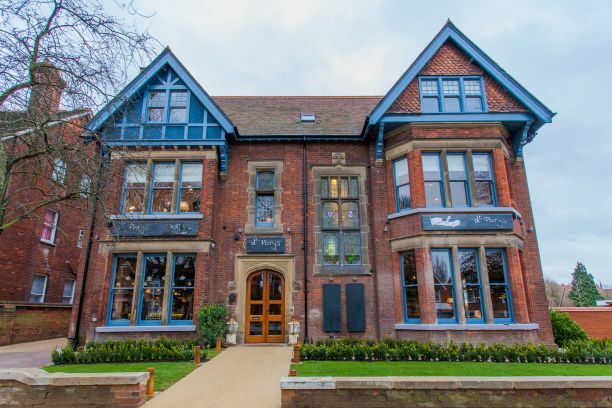 A charming and charismatic building nestled in the Victorian ‘urban vista’ of De Parys avenue, our magnificent site is nearby to the Bedford Park, bustling town centre & the area’s proudest landmark - The Bedford Embankment. With our fourteen boutique bedrooms, enticing bar and fresh food menu bursting with homely treats, d’Parys is the perfect place to dine, drink & dream in the heart of historic Bedford. First time we have visited and it was a most enjoyable lunch. Food and service were first class. Will definitely be back soon! Firstly, the service we got from our young waiter was the best we’ve ever had. He was knowledgeable, patient and charming and a credit to D’Parys. The food on the other hand was not so great. We were a party of six and I was the only one who enjoyed my meal! Fish was cheap, frozen fish. Pork belly inedible. Potato dauphinois was undercooked and trifle was tasteless. Just lovely as always. We have never had a bad meal or breakfast here. The service even when busy is exemplary and the food is always innovative and very very tasty. A warm friendly atmosphere to top it off. Very impressed with service in particular. Linguine with prawns could do with a bit of chilli to lift it a little or rocket on top to finish it off. Otherwise a very lovely meal. Relaxed atmosphere, decent selection of beers and great food - perfect Sunday afternoon roast! Lovely mothers day experience with a bunch of daffodils a nice touch. The food wasn't bad. It wasn't the best either. Spinach was still raw. Staff highly unfriendly. Well there was only one lady serving but the way she was asking what we wanted to order and her approach wasn't what u expect for a really well made hotel. Her attitude was like she didn't want to be there. I took my mother here on Sunday for Mother's Day dinner and we both had a lovely time. The staff were wonderful and friendly, they catered to my allergies beautifully and without fuss and the food was superb. This is my second visit to the restaurant and I will certainly be booking again soon. Lovely setting, wonderful atmosphere and staff and of course most importantly the food is on point. Thanks for helping make our Mother's Day! My mum asked not to have a couple of things included on her breakfast these things were not replaced by anything else and we were still charged full price. It was smaller than my sons child breakfast!! Very disappointing for mother’s day!! Sadly found the full English underwhelming , in particular poached egg was very poor. Fire alarm went off during our breakfast and continued for at least 5 minutes preventing conversation and ruining the atmosphere. Staff were good, however the value charged doesn’t reflect the quality we as a family received. food was top notch and the staff very friendly, only downside was the food took nearly an hour to come out. Little bit pricey but delicious food and good service. The food was well presented .Everyone enjoyed their meals except for those who had the tender stem broccoli salad. It was not tender at all but rather hard and challenging to chew! The kids meals were generous and good value.